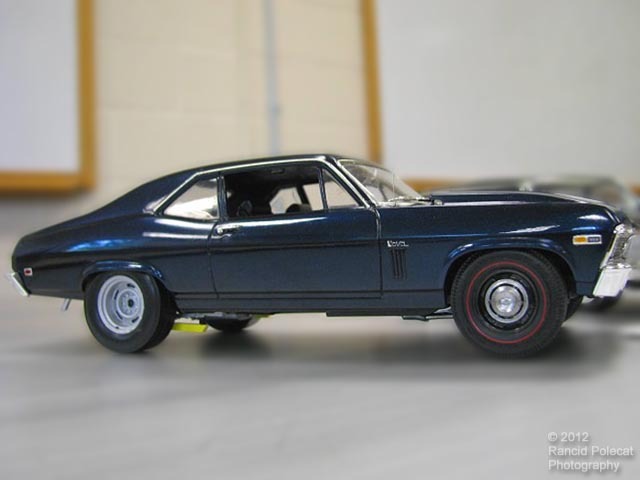 Front wheels are Replicas and Miniatures of Maryland COPO wheels. Front tires are redlines by Satco. Rear wheels are Competition Resins rally wheels.